Attendees of this year’s Scottish Pharmacist Ball & Awards will have seen an addition to the usual line up – in the form of a nominated Charity. For the first time this successful event proudly partnered with Pharmacist Support. 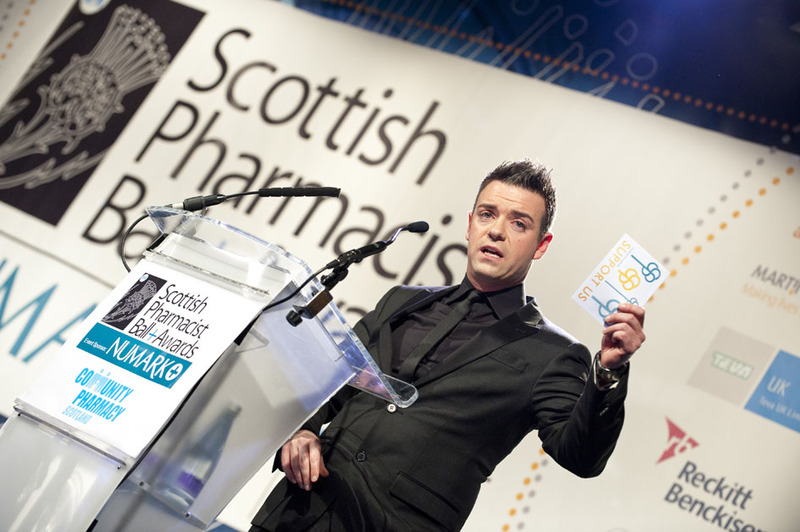 The event, organised by Scottish Pharmacist magazine in conjunction with Community Pharmacy Scotland recognised excellence and outstanding dedication to the profession and was attended by over 500 pharmacists and guests. The evening celebrated many acheivements including innovation and change in pharmacy practice, health promotion, business initiative and pharmaceutical public health, with top honours going to Stuart Johnstone – winner of the 2013 Outstanding contribution to pharmacy Award. The Charity would like to take this opportunity to congratulate all of the winners and finalists and to say a huge thank you to all attendees who donated on the night. Their generosity helped raise an impressive £2500 for Pharmacist Support – money that will be used to help pharmacists and their families, former pharmacists and pharmacy students who find themselves confronted by difficult circumstances.